EXCLUSIVE AT NET-A-PORTER. Jin Kay, Dylan Cao and Huy Luong, the trio behind Commission, take inspiration from what their mothers wore to work throughout the '80s and '90s in Vietnam and Korea. 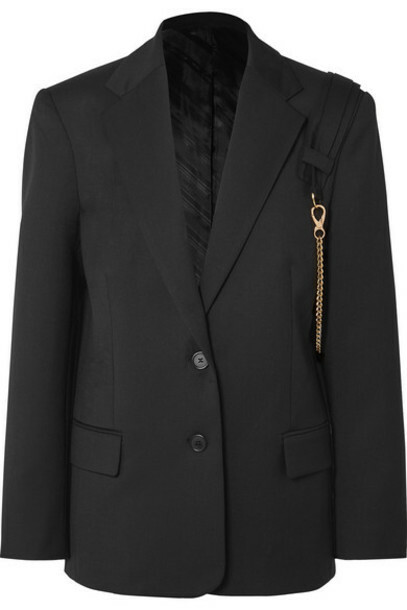 This black blazer is cut from twill and tailored for a relaxed fit with exaggerated shoulders to channel retro styles. It's finished with a backpack-style strap and detachable gold chain.